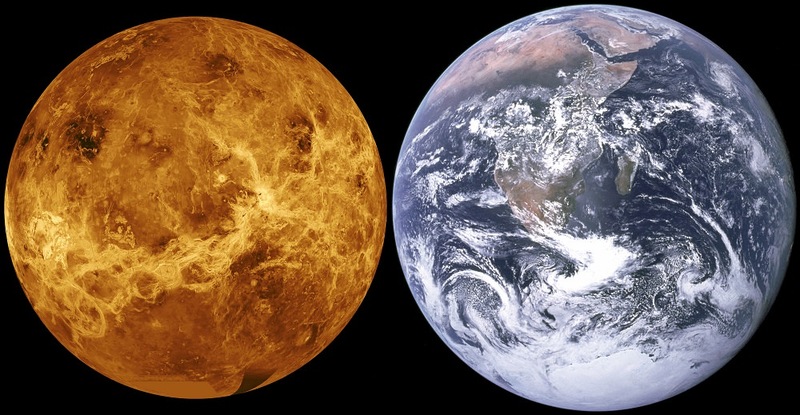 For many reasons, Venus is sometimes referred to as “Earth’s Twin” (or “Sister Planet”, depending on who you ask). Like Earth, it is terrestrial (i.e. rocky) in nature, composed of silicate minerals and metals that are differentiated between an iron-nickel core and silicate mantle and crust. But when it comes to their respective atmospheres and magnetic fields, our two planets could not be more different. For some time, astronomers have struggled to answer why Earth has a magnetic field (which allows it to retain a thick atmosphere) and Venus do not. According to a new study conducted by an international team of scientists, it may have something to do with a massive impact that occurred in the past. Since Venus appears to have never suffered such an impact, its never developed the dynamo needed to generate a magnetic field. The study, titled “Formation, stratification, and mixing of the cores of Earth and Venus“, recently appeared in the scientific journal Earth and Science Planetary Letters. The study was led by Seth A. Jacobson of Northwestern University, and included members from the Observatory de la Côte d’Azur, the University of Bayreuth, the Tokyo Institute of Technology, and the Carnegie Institution of Washington. For the sake of their study, Jacobson and his colleagues began considering how terrestrial planets form in the first place. According to the most widely-accepted models of planet formation, terrestrial planets are not formed in a single stage, but from a series of accretion events characterized by collisions with planetesimals and planetary embryos – most of which have cores of their own. Recent studies on high-pressure mineral physics and on orbital dynamics have also indicated that planetary cores develop a stratified structure as they accrete. The reason for this has to do with how a higher abundance of light elements are incorporated in with liquid metal during the process, which would then sink to form the core of the planet as temperatures and pressure increased. Such a stratified core would be incapable of convection, which is believed to be what allows for Earth’s magnetic field. What’s more, such models are incompatible with seismological studies that indicate that Earth’s core consists mostly of iron and nickel, while approximately 10% of its weight is made up of light elements – such as silicon, oxygen, sulfur, and others. It’s outer core is similarly homogeneous, and composed of much the same elements. “The terrestrial planets grew from a sequence of accretionary (impact) events, so the core also grew in a multi-stage fashion. Multi-stage core formation creates a layered stably stratified density structure in the core because light elements are increasingly incorporated in later core additions. 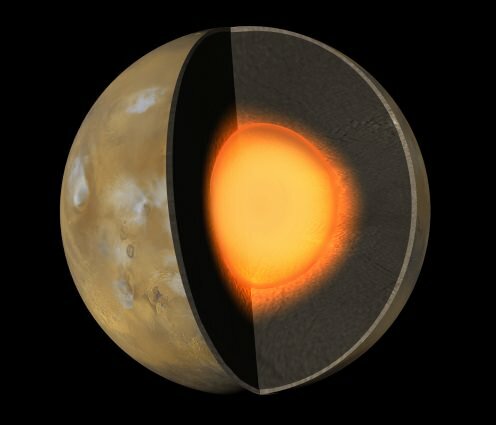 Light elements like O, Si, and S increasingly partition into core forming liquids during core formation when pressures and temperatures are higher, so later core forming events incorporate more of these elements into the core because the Earth is bigger and pressures and temperatures are therefore higher. Basically, the energy of this impact would have shaken up the core, creating a single homogeneous region within which a long-lasting geodynamo could operate. Given the age of Earth’s magnetic field, this is consistent with the Theia impact theory, where a Mars-sized object is believed to have collided with Earth 4.51 billion years ago and led to the formation of the Earth-Moon system. This impact could have caused Earth’s core to go from being stratified to homogeneous, and over the course of the next 300 million years, pressure and temperature conditions could have caused it to differentiate between a solid inner core and liquid outer core. Thanks to rotation in the outer core, the result was a dynamo effect that protected our atmosphere as it formed. The seeds of this theory were presented last year at the 47th Lunar and Planetary Science Conference in The Woodlands, Texas. During a presentation titled “Dynamical Mixing of Planetary Cores by Giant Impacts“, Dr. Miki Nakajima of Caltech – one of the co-authors on this latest study – and David J. Stevenson of the Carnegie Institution of Washington. At the time, they indicated that the stratification of Earth’s core may have been reset by the same impact that formed the Moon. It was Nakajima and Stevenson’s study that showed how the most violent impacts could stir the core of planets late in their accretion. Building on this, Jacobson and the other co-authors applied models of how Earth and Venus accreted from a disk of solids and gas about a proto-Sun. They also applied calculations of how Earth and Venus grew, based on the chemistry of the mantle and core of each planet through each accretion event. In the past few decades, astronomers and geophysicists have benefited immensely from the study of planetary magnetic fields. Dedicated to mapping patterns of magnetism on other astronomical bodies, this field has grown thanks to missions ranging from the Voyager probes to the more recent Mars Atmosphere and Volatile EvolutioN (MAVEN) mission. Looking ahead, it is clear that this field of study will play a vital role in the exploration of the Solar System and beyond. As Jared Espley of NASA’s Goddard Space Flight Center outlined during a presentation at NASA’s Planetary Science Vision 2050 Workshop, these goals include advancing human exploration of the cosmos and the search for extra-terrestrial life. Consider the case of Earth and its “twin planet”, Mars. 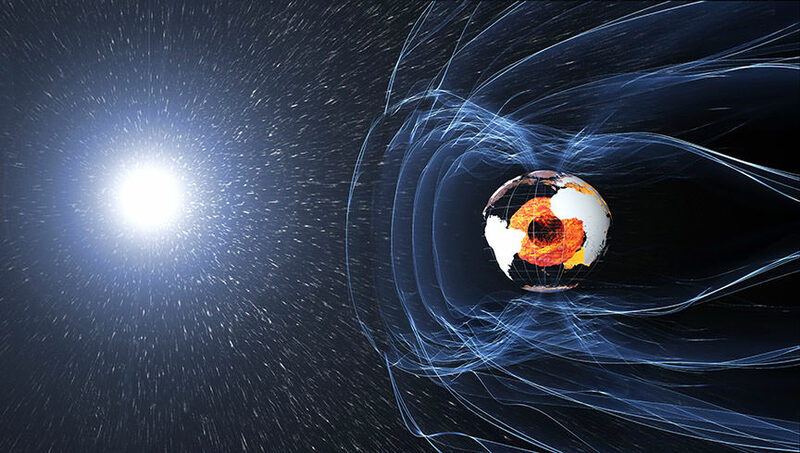 Earth has a magnetic field that ranges in strength from 25 to 65 microteslas (0.25 to 0.65 gauss), which ensures that habitable conditions can exist on its surface. Mars, by contrast, once had a magnetic field, which allowed for the existence of a thicker atmosphere and liquid water on its surface. The process by which this occurred was mapped extensively by orbiters like MAVEN and the Mars Global Surveyor (MGS). According to data provided by these missions, scientists now know that roughly 4.2 billion years ago, Mars’ magnetic field disappeared. Over the course of the next 500 million years, the planet’s atmosphere was slowly stripped away, which caused its surface to become the cold, desiccated place we see today. When it comes to the exploration of planets like Mars, magnetometry be useful in helping scientists determine its subsurface structure and composition. As it stands, missions like the Interior Exploration using Seismic Investigations, Geodesy and Heat Transport (InSight) lander – which is scheduled to launch in 2018 – are intended to provide information on its seismology, temperature, and history of formation. By using networks of electromagnetic sensors such as magnetometers, such missions could be augmented by allowing for more in-depth studies of a planet’s interior structure. In addition, they could be used to located things like aquifers, which would help in the search for Martian life and identify resources needed for human exploration, and even colonization. 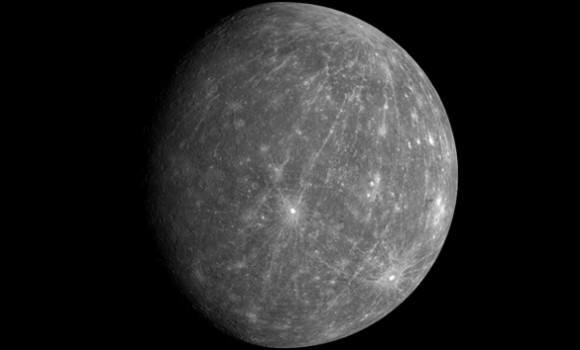 Similar missions could be mounted to Venus and Mercury, thus revealing how all the terrestrial planets in the Solar System were created, what they have in common, and what sets them apart. By placing magnetometers on aerial platforms such as gliders or balloons, detailed geophysical characterization of planetary surfaces could be conducted. This would allow future missions to explore of the geophysical history of planets with respect to events that altered the magnetization of the crust – i.e. volcanism, plate tectonics, impact cratering, and more. Such surveys are used on Earth routinely to characterize the materials in the near subsurface, or for the sake of mineral exploration. But on other planets and moons, they could help shed on light on some of the deeper mysteries, which include whether or not they could support life. This is especially the case on moons like Europa, Ganymede, Enceladus, and Titan. Currently, there are proposals in place for the aerial exploration of Titan. These include concepts like the Aerial Vehicle for In-situ and Airborne Titan Reconnaissance (AVIATR), the Titan Aerial Daughtercraft (TAD), and the “Dragonfly“. There’s also the Mars Helicopter “Scout”, a vehicle that would use two coaxial counter-rotating blades to explore Mars’ atmosphere (and which is expected to launch as part of the Mars 2020 mission). Magnetometers could also be used to help resolve some enduring mysteries in the study of magnetospheres. For instance, planetary magnetospheres are highly dynamic, and it can be difficult to distinguish between phenomena that are time-dependent or spatially-dependent – i.e. magnetic reconnection, escaping atmospheric plasma structures, and plasma waves. By deploying multiple spacecraft of small groups of CubeSats equipped with magnetometers (and plasma spectrometers), it would be possible to more fully address how planetary magnetospheres work. Such missions have been conducted around Earth for the sake of measuring Earth’s magnetic field, as part of geologic surveys, and to measure the interaction between solar wind and Earth’s magnetosphere. 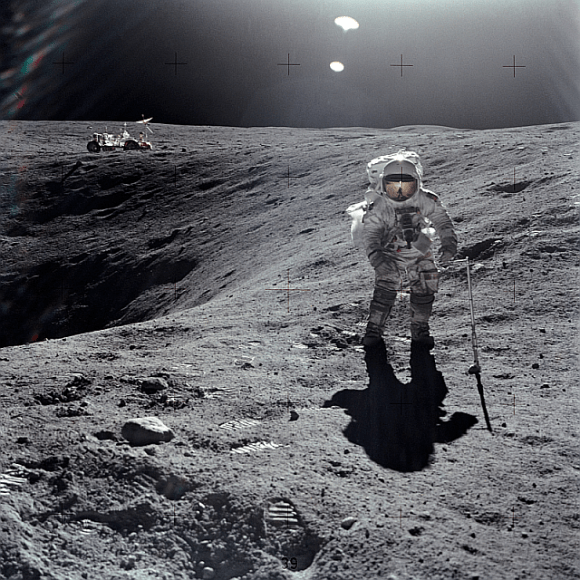 In addition, missions to other planets have been conducted that made use of magnetometers. A three-axis fluxgate magnetometer was part of the Mariner 2 and Mariner 10 missions (which explored Venus and Mercury), and the MESSENGER mission to Mercury. A dual technique magnetometer was also part of the Cassini-Huygens mission to explore Saturn. And the returns on these missions show how future missions could be of equal value. Neptune and Uranus are known to have powerful and unique magnetospheres, possessing dipoles that are strongly tilted relative to their rotational axes. However, not much effort has been directed into studying them and determining why this is the case. As such, a Flagship mission that could explore and measure their fields using magnetometers would be of major scientific value. The study of Europa, Enceladus, Titan, and other moons are likely to be a major undertaking in the coming decades. In fact, it was a major theme at the Planetary Science Vision 2050 Workshop, which featured presentations from the Europa Lander Mission Concept Team and the Roadmaps to Ocean Worlds (ROW) team. These mission will be dedicated to finding extra-terrestrial life in our Solar System and learning more about its formation. And as Espley indicated, magnetometry could play a key role in these missions. For starters, they would allow missions to measure the depth and location of the potentially-habitable subsurface oceans these moon’s are known (or suspected) to have. In addition, such a mission to Ganymede could help characterize its magnetic field, which would be of immense scientific value since it is the only non-gas giant other than Earth known to have one. Being able to study the magnetic fields of other planets directly is certainly a long way off. But long before we can mount missions to other system and examine them up close, the study of planetary magnetic fields could help us to determine which of the many exoplanets we have discovered in recent years could be habitable. If nothing else, it might cut down on the time we spend doing follow-up investigation (like searching for radio signals). This week, NASA’s Planetary Science Division (PSD) hosted a community workshop at their headquarters in Washington, DC. Known as the “Planetary Science Vision 2050 Workshop“, this event ran from February 27th to March 1st, and saw scientists and researchers from all over the world descend on the capitol to attend panel discussions, presentations, and talks about the future of space exploration. One of the more intriguing presentations took place on Wednesday, March 1st, where the exploration of Mars by human astronauts was discussed. In the course of the talk, which was titled “A Future Mars Environment for Science and Exploration“, Director Jim Green discussed how deploying a magnetic shield could enhance Mars’ atmosphere and facilitate crewed missions there in the future. 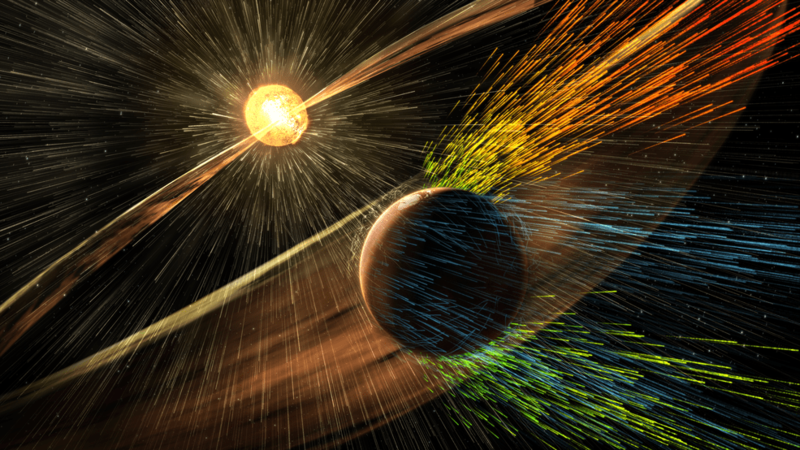 The current scientific consensus is that, like Earth, Mars once had a magnetic field that protected its atmosphere. Roughly 4.2 billion years ago, this planet’s magnetic field suddenly disappeared, which caused Mars’ atmosphere to slowly be lost to space. Over the course of the next 500 million years, Mars went from being a warmer, wetter environment to the cold, uninhabitable place we know today. This theory has been confirmed in recent years by orbiters like the ESA’s Mars Express and NASA’s Mars Atmosphere and Volatile EvolutioN Mission (MAVEN), which have been studying the Martian atmosphere since 2004 and 2014, respectively. In addition to determining that solar wind was responsible for depleting Mars’ atmosphere, these probes have also been measuring the rate at which it is still being lost today. Without this atmosphere, Mars will continue to be a cold, dry place where life cannot flourish. In addition to that, future crewed mission – which NASA hopes to mount by the 2030s – will also have to deal with some severe hazards. Foremost among these will be exposure to radiation and the danger of asphyxiation, which will pose an even greater danger to colonists (should any attempts at colonization be made). In answer to this challenge, Dr. Jim Green – the Director of NASA’s Planetary Science Division – and a panel of researchers presented an ambitious idea. In essence, they suggested that by positioning a magnetic dipole shield at the Mars L1 Lagrange Point, an artificial magnetosphere could be formed that would encompass the entire planet, thus shielding it from solar wind and radiation. To test this idea, the research team – which included scientists from Ames Research Center, the Goddard Space Flight Center, the University of Colorado, Princeton University, and the Rutherford Appleton Laboratory – conducted a series of simulations using their proposed artificial magnetosphere. 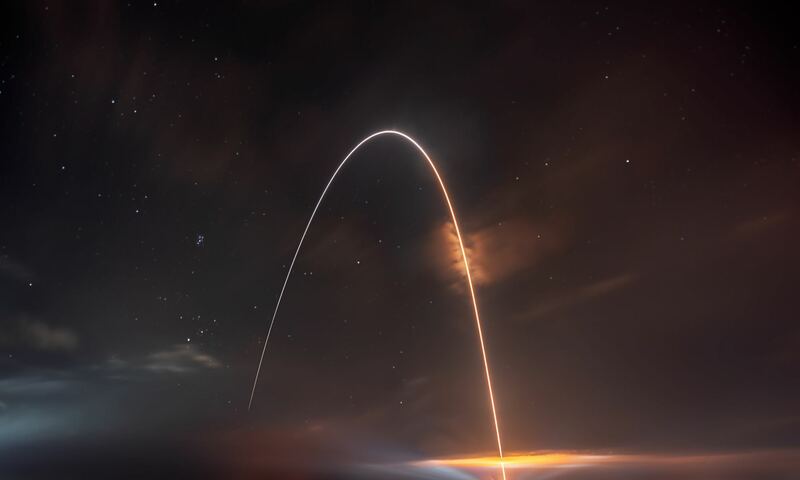 These were run at the Coordinated Community Modeling Center (CCMC), which specializes in space weather research, to see what the net effect would be. What they found was that a dipole field positioned at Mars L1 Lagrange Point would be able to counteract solar wind, such that Mars’ atmosphere would achieve a new balance. At present, atmospheric loss on Mars is balanced to some degree by volcanic outpassing from Mars interior and crust. This contributes to a surface atmosphere that is about 6 mbar in air pressure (less than 1% that at sea level on Earth). 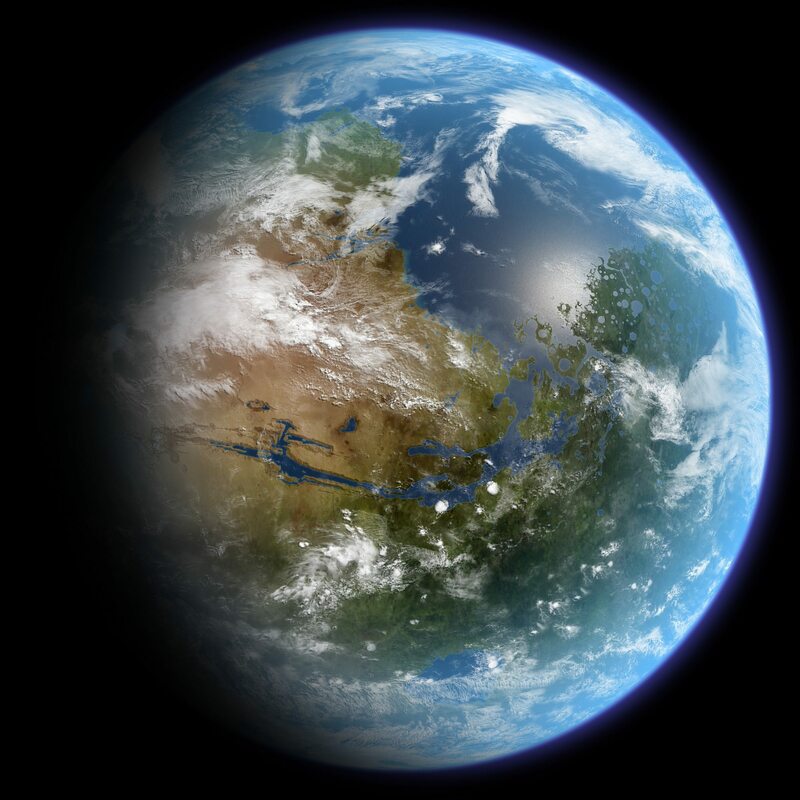 As a result, Mars atmosphere would naturally thicken over time, which lead to many new possibilities for human exploration and colonization. According to Green and his colleagues, these would include an average increase of about 4 °C (~7 °F), which would be enough to melt the carbon dioxide ice in the northern polar ice cap. This would trigger a greenhouse effect, warming the atmosphere further and causing the water ice in the polar caps to melt. By their calculations, Green and his colleagues estimated that this could lead to 1/7th of Mars’ oceans – the ones that covered it billions of years ago – to be restored. If this is beginning to sound a bit like a lecture on how to terraform Mars, it is probably because these same ideas have been raised by people who advocating that very thing. But in the meantime, these changes would facilitate human exploration between now and mid-century. These conditions, said Green and his colleagues, would also allow for human explorers to study the planet in much greater detail. It would also help them to determine the habitability of the planet, since many of the signs that pointed towards it being habitable in the past (i.e. liquid water) would slowly seep back into the landscape. And if this could be achieved within the space of few decades, it would certainly help pave the way for colonization. In the meantime, Green and his colleagues plan to review the results of these simulations so they can produce a more accurate assessment of how long these projected changes would take. It also might not hurt to conduct some cost-assessments of this magnetic shield. While it might seem like something out of science fiction, it doesn’t hurt to crunch the numbers! Stay tuned for more stories from the Planetary Science Vision 2050 Workshop! Further Reading: Tokyo Tech News, Nature. The attraction known as magnetism occurs when a magnetic field is present, which is a field of force produced by a magnetic object or particle. It can also be produced by a changing electric field and is detected by the force it exerts on other magnetic materials. Hence why the area of study dealing with magnets is known as electromagnetism. Magnetic fields can be defined in a number of ways, depending on the context. However, in general terms, it is an invisible field that exerts magnetic force on substances which are sensitive to magnetism. Magnets also exert forces and torques on each other through the magnetic fields they create. They can be generated within the vicinity of a magnet, by an electric current, or a changing electrical field. They are dipolar in nature, which means that they have both a north and south magnetic pole. The Standard International (SI) unit used to measure magnetic fields is the Tesla, while smaller magnetic fields are measured in terms of Gauss (1 Tesla = 10,000 Guass). Mathematically, a magnetic field is defined in terms of the amount of force it exerted on a moving charge. The measurement of this force is consistent with the Lorentz Force Law, which can be expressed as F= qvB, where F is the magnetic force, q is the charge, v is the velocity, and the magnetic field is B. This relationship is a vector product, where F is perpendicular (->) to all other values. Magnetic fields may be represented by continuous lines of force (or magnetic flux) that emerge from north-seeking magnetic poles and enter south-seeking poles. The density of the lines indicate the magnitude of the field, being more concentrated at the poles (where the field is strong) and fanning out and weakening the farther they get from the poles. A uniform magnetic field is represented by equally-spaced, parallel straight lines. These lines are continuous, forming closed loops that run from north to south, and looping around again. The direction of the magnetic field at any point is parallel to the direction of nearby field lines, and the local density of field lines can be made proportional to its strength. Magnetic field lines resemble a fluid flow, in that they are streamlined and continuous, and more (or fewer lines) appear depending on how closely a field is observed. Field lines are useful as a representation of magnetic fields, allowing for many laws of magnetism (and electromagnetism) to be simplified and expressed in mathematical terms. A simple way to observe a magnetic field is to place iron filings around an iron magnet. The arrangements of these filings will then correspond to the field lines, forming streaks that connect at the poles. They also appear during polar auroras, in which visible streaks of light line up with the local direction of the Earth’s magnetic field. The study of magnetic fields began in 1269 when French scholar Petrus Peregrinus de Maricourt mapped out the magnetic field of a spherical magnet using iron needles. The places where these lines crossed he named “poles” (in reference to Earth’s poles), which he would go on to claim that all magnets possessed. During the 16th century, English physicist and natural philosopher William Gilbert of Colchester replicated Peregrinus’ experiment. In 1600, he published his findings in a treaties (De Magnete) in which he stated that the Earth is a magnet. His work was intrinsic to establishing magnetism as a science. In 1750, English clergyman and philosopher John Michell stated that magnetic poles attract and repel each other. The force with which they do this, he observed, is inversely proportional to the square of the distance, otherwise known as the inverse square law. In 1785, French physicist Charles-Augustin de Coulomb experimentally verified Earths’ magnetic field. This was followed by 19th century French mathematician and geometer Simeon Denis Poisson created the first model of the magnetic field, which he presented in 1824. By the 19th century, further revelations refined and challenged previously-held notions. For example, in 1819, Danish physicist and chemist Hans Christian Orsted discovered that an electric current creates a magnetic field around it. In 1825, André-Marie Ampère proposed a model of magnetism where this force was due to perpetually flowing loops of current, instead of the dipoles of magnetic charge. In 1831, English scientist Michael Faraday showed that a changing magnetic field generates an encircling electric field. In effect, he discovered electromagnetic induction, which was characterized by Faraday’s law of induction (aka. Faraday’s Law). Between 1861 and 1865, Scottish scientist James Clerk Maxwell published his theories on electricity and magnetism – known as the Maxwell’s Equations. These equations not only pointed to the interrelationship between electricity and magnetism, but showed how light itself is an electromagnetic wave. The field of electrodynamics was extended further during the late 19th and 20th centuries. For instance, Albert Einstein (who proposed the Law of Special Relativity in 1905), showed that electric and magnetic fields are part of the same phenomena viewed from different reference frames. The emergence of quantum mechanics also led to the development of quantum electrodynamics (QED). A classic example of a magnetic field is the field created by an iron magnet. As previously mentioned, the magnetic field can be illustrated by surrounding it with iron filings, which will be attracted to its field lines and form in a looping formation around the poles. Larger examples of magnetic fields include the Earth’s magnetic field, which resembles the field produced by a simple bar magnet. This field is believed to be the result of movement in the Earth’s core, which is divided between a solid inner core and molten outer core which rotates in the opposite direction of Earth. This creates a dynamo effect, which is believed to power Earth’s magnetic field (aka. magnetosphere). Such a field is called a dipole field because it has two poles – north and south, located at either end of the magnet – where the strength of the field is at its maximum. At the midpoint between the poles the strength is half of its polar value, and extends tens of thousands of kilometers into space, forming the Earth’s magnetosphere. Other celestial bodies have been shown to have magnetic fields of their own. This includes the gas and ice giants of the Solar System – Jupiter, Saturn, Uranus and Neptune. Jupiter’s magnetic field is 14 times as powerful as that of Earth, making it the strongest magnetic field of any planetary body. Jupiter’s moon Ganymede also has a magnetic field, and is the only moon in the Solar System known to have one. Mars is believed to have once had a magnetic field similar to Earth’s, which was also the result of a dynamo effect in its interior. However, due to either a massive collision, or rapid cooling in its interior, Mars lost its magnetic field billions of years ago. It is because of this that Mars is believed to have lost most of its atmosphere, and the ability to maintain liquid water on its surface. When it comes down to it, electromagnetism is a fundamental part of our Universe, right up there with nuclear forces and gravity. Understanding how it works, and where magnetic fields occur, is not only key to understanding how the Universe came to be, but may also help us to find life beyond Earth someday. We have written many articles about the magnetic field for Universe Today. Here’s What is Earth’s Magnetic Field, Is Earth’s Magnetic Field Ready to Flip?, How Do Magnets Work?, Mapping The Milky Way’s Magnetic Fields – The Faraday Sky, Magnetic Fields in Spiral Galaxies – Explained at Last?, Astronomy Without A Telescope – Cosmic Magnetic Fields. If you’d like more info on Earth’s magnetic field, check out NASA’s Solar System Exploration Guide on Earth. And here’s a link to NASA’s Earth Observatory. Live Science – What is Magnetism?